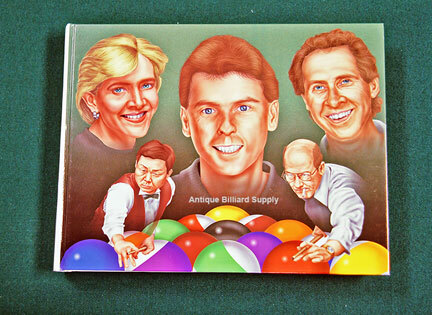 #12-14 1999 Billiard Yearbook. A comprehensive review of major tournaments and other billiard events held during 1999. Numerous photos and player profiles. Includes information on cues, artwork and antique billiard memorabilia. A very thorough documentary for anyone interested in the history of billiards. 448 pages, about 11 inches wide and 8 inches tall. Brand new hardcover edition. $150.